A review of Nature in the City: Bengaluru in the Past, Present, and Future, by Harini Nagendra. 2016. 214 pages. ISBN-13: 978-0199465927 / ISBN-10: 0199465924. Oxford University Press. £ 25.99 (Hardback). Buy the book. There is a need for an “inclusive commons” a new form of nature in cities, one that can bring city residents together around the common cause of securing a sustainable and resilient future. 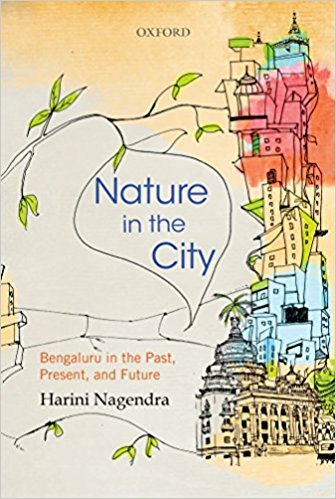 In her book Nature in the City: Bengaluru in the Past, Present, and Future (OUP, 2016) Harini Nagendra suggests we draw on the “cultural imagination and capacity for coexistence” demonstrated through the long history of the city of Bengaluru as we strive for sustainable and resilient modern cities. This call for considered and creative action is an appropriate directive in an age of rapid and dynamic urbanization. Her book is fascinating in that it simultaneously meets the directive of contemporary urban ecology in addressing the social and the biophysical, and also shares a personal lived experience of a city. The book opens with the personal marker “… this area has transformed almost literally in front of my eyes in the past decade …” (p. 1), and so we are introduced to the author and the city of Bengaluru, bound up together. Nagendra grew up in Bengaluru and reflects on her childhood, and the text is peppered with references to her personal space, experience, and identity, and this sets a tone for the book which is immensely engaging. While the book is about nature in Bengaluru, the story one feels is really hers and while full of robust science, anchored spatial analysis and sound anthropological insights, it has the accessibility of an autobiography. It is the story of a city told through the eyes of a resident and globally recognized urban ecologist. Nagendra emerges from a childhood steeped in nature as an adult who holds it dear. Nagendra situates herself as child, adult, participant, learner, academic, witness, and activist. Her activism is restrained and she resists the temptation to gripe but makes clear and directed points around government and governance failings to manage according to well-defined plans, a circumstance which resonates with other cities in the global south. Her activism is expressed through views and frustrations that are clear, directed, and linked to grounded examples. For example, she labels Nehru’s directive that Indian cities develop and grow in strict accordance with agreed plans, “grandiose”, and “futile” (p. 56). That said, she acknowledges herself as part of the system and responsible too for the emergence of a sustainable city, and she refrains from general and obstructive denigration. The book tells the story of the emergence of the city, laying out the biophysical and natural history of the original site of Bengaluru, from the early establishment of villages and initial settlement, the growth and development of the complex system of lakes, the subsequent British rule and the import of a particular type of nature and the social division of the city, and ultimately to independence and a contemporary Bengaluru which faces global and local environmental challenges. The book never deviates from its intention to share an understanding of nature in the city as a constant that Nagendra describes as both, “enduring in essence and substance”, yet is also, “… constantly transforming its form and function” (p. 7). Against this backdrop, Nagendra picks up on a broad array of urban ecology topics and presents a series of neatly packaged chapters that read like essays and range in scale and focus from the goings on in private yards to the public spaces of streets and lakes. Urban ecology requires a multi-disciplinary agility and Nagendra is undaunted by the task as she moves easily between landscape considerations around significant shifts in vegetation cover through time, to places of worship, and down to the social anthropology of life under individual trees. She states as her intent to “depict to the reader how nature has played a changing role during the evolution of the South Indian City” (p. 5) and she certainly achieves this. While the focus of the book is unashamedly the city of Bengaluru, the book should readily make it on to the reading list of any postgraduate urban ecology course in any city across the globe. The book is far-reaching in its treatment of urban ecology topics and gives us history, resilience, nature and poverty, blue nature, sacred nature, public nature, and private nature. A student could readily find some point of traction here, and the opportunities to compare and contrast to their own circumstances are evident throughout. The theme of resilience runs through the book, but is taken up directly in Chapter 3, “Resilient City: From Colonial to Independent Bengaluru”. The concept of resilience is debated, and Nagendra wisely does not engage in this debate but rather presents an environmental history of Bengaluru that provides just the kind of empirical material on which to consider resilience irrespective of how one might choose to define the term. The detail of this chapter, researched in evident depth, is gratifying. The use of mapped trees through time, interpreted in association with historical texts, or failing that, speculated on, provides a degree of detail that is powerful and convincing. Through environmental narratives, the history of Bengaluru and its resilience (or lack thereof) to change is presented. The narrative starts with a clear depiction of the biophysical backdrop, to early settlement with a landscape defined by agriculture and manipulated to this end, to one of separate development and variable landscape views in colonial times, through to transformation for real estate and light industry. The most recent dramatic and unchecked transformations of remnant agricultural land to hard urban surface Nagendra notes as, “much to its disadvantage as a garden city” (p. 56). While the dominant voice of colonial authorities is undeniable in the evidence base, she effectively dispels the myth that nature in Bengaluru is wholly defined by this period, but adds with a wry tone, with particular reference to the predominance of narrative from this period, “one does not know what the Indians thought of it all” (p. 50). Rather what is presented is an honest account of a long history of an urban nature that is a function of an amalgamation of views, emerging in response to mutable power relations, planning schemes, and variable implementation, through time. This urban fusion is captured nicely in the description of a resident German horticulturalist that drew on the writings of a classical Sanskrit poet for inspiration in selecting plants for an historical greening campaign. The complex and diverse social history of the city and how this relates to urban nature is captivating. “As the form and function of nature in Bengaluru have changed over millennia, the players and actors that shape nature in the city have also transformed in various ways. Biodiversity is valued for productive recreational, and spiritual purposes in diverse ways in different types of land uses, ways that have profoundly altered over time.” (p. 60). As a temporal concept any understanding of resilience must be linked to environmental history and Nagendra reminds us not to judge Bengaluru on the basis of its contemporary nature but rather to see this as a function of a long and important history, and one throughout which nature has been central to much of what makes Bengaluru what it is today. The same attention to empirical detail is evident in all the thematic chapters. In Chapter 4 “Nature in Personal Spaces: Home Gardens in Bengaluru” the reader is offered insights into Indian gardens that give voyeuristic pleasure. Here nature is presented as a signifier of status with gardens ranging from the useful to the purely aesthetic, the wealthier designed with elements to screen private gardens from “the curious (and often envious) eyes of the proletariat” (p. 61). Chapter 5 on “Nature and Poverty: Vegetation in Slums” presents detailed data on vegetation and tree cover across the socio-economic spectrum of Bengaluru and flags the fact that, “Slums have a particular relationship with nature” (p. 79). The complex livelihood and socio-cultural systems operating in these marginal communities are described through detailed examples, such as the case of slum cattle which are in turn lost as a function of the loss of grazing land with social repercussions in securing marriage partners. The risks and vulnerabilities associated with shifts in, or lack of access to, urban nature for the urban poor are well described. We are reminded that “nature in slums cannot be descried solely in terms of exposure to environmental hazards.” Where these “congested pockets of poverty also constitute parts of the city that have a strong relationship with nature”, as “almost all slums in Bengaluru have at least one sacred tree where nature is worshiped outdoors” (p. 80). Informality and its relationship to nature tends to be overlooked, or worse caricatured, in the literature and Nagendra chastises the audience for the persistent lack of research on women, poverty and the environment. The ensuing chapters each offer more than enough to engage the reader covering most aspects of the city with insights on nature in relation to road networks in Chapter 6, “Nature on the Road: Street trees in Bengaluru”, public nature in Chapter 7, “Parks: Nature in public spaces”, and urban water systems in Chapter 9, “Blue Nature: City of Lakes”. Chapter 8, presents “Sacred Nature: Places of Worship”, which for me is a highlight of the book and warrants particular mention in that sacred nature, or at least how it manifests, is somewhat particular to the Indian city. Here specific species and their respective roles are described, different religions are engaged, and fascinating insights are offered on practice. Sacred trees are described as “planted in specific patterns believed to symbolize cosmic order” (p. 149) and we are reminded again to take nothing at face value when it comes to interpreting nature in contemporary urban form. Stories are shared of shifting power among deities in response to changes in the places and spaces of worship in relation to land cover change. Nagendra ties these considerations back to resilience, noting that “Sacred spaces in Bengaluru thus form resilient locations for the conservation of urban nature in the face of rapid change” (p. 161). 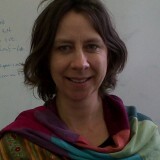 We are reminded again of the surreptitious activist as she ends the chapter by raising the question of whether we can use these insights to good effect, and warns that the current movement for a, “… pan-Indian form of Hinduism, as some political institutions are attempting to fashion (…), cannot facilitate a pluralistic pathway forward” (p. 162). The potential to draw on socio-cultural uses and engagements with nature in addressing contemporary environmental problems is evident, but one that as Nagendra notes will take an inclusive and engaged approach. In her final chapter Nagendra reflects on the story of her city among the broader global trends in urban ecology drawing in particular on other global south cities for lessons in plotting a sustainable future for Bengaluru, one that renders the City, “adaptive and resilient to change” (p. 195). She closes with words, “Challenges abound, but the need is obvious” (p. 195), and certainly, this is the sense with which she is imbued. The indispensable role of nature in a city, demonstrated repeatedly through periods of history and from multiple angles, is evident. So are the challenges in securing this nature into the future as shown by past reflections of periods of decline and recovery. Nagendra notes the need for something new, and reminds the reader of growing environmental justice issues in modern cities, particularly evident in cities of the global south. There is a need for an “inclusive commons” a new form of nature in cities, one that can bring city residents together around the common cause of securing a sustainable and resilient future. The work is thought-provoking and I cannot imagine that anyone could read this book without thinking, “how would this play out in my city?” In this respect, Nagendra inadvertently invokes the holy grail of urban ecology which is how much can we generalize about the ecological functioning of cities? While she speaks to the broader project of understanding South Indian cities, Nagendra never promises to make comparisons and makes no significant attempt to address the broader question of generalizing across cities. She does, of course, reflect on her own work in relation to the published findings of others and in this sense the City of Bengaluru is somewhat positioned. And at the end she again invokes other global south cities in seeking lessons for the future, but her intention is not to compare, but rather to give depth and texture to one city. What she gives us is the “horizontal and vertical” of one city, and what the book does do is invite others to do what she has done. The book immediately calls for other urban ecologists to put together the kind of detailed insight offered here for their own city. The power of a shelf full of such books would be tremendous. I look forward to seeing what this book inspires in urban ecologists in other cities around the world, and in particular in the global south.